The map shows Concord’s geographic scope: We’ve worked on projects in buildings across the country. 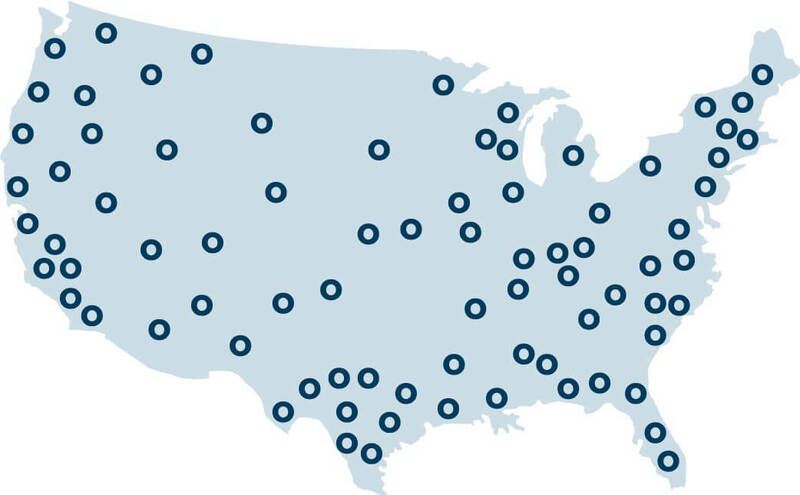 We have completed Section 179D certification services for clients who have designed facilities on secure military installations and college campuses; in public schools and courthouses — and that’s just skimming the surface. We have done this work in buildings at every level of government, and with every major federal agency. For more information on specific projects we have completed please review a selection of our work found below.